Total time: 30 minutesIn a large skillet, bring 1/4 inch of water to a boil. Add the spinach and cook, stirring, until just wilted, about 1 minute; drain and press out as much water as possible. Wipe out the skillet.In the same skillet, heat the 2 tablespoons of olive oil until shimmering. Add the garlic and anchovy paste and cook over high heat, stirring, until fragrant, 1 minute. Add the spinach, season with salt and stir just until coated, about 10 seconds. Wine Pairing: Italian sausage needs a robust red wine like Zinfandel. Coincidentally, superstar Zinfandel producer Peter Seghesio and his family make their own Italian sausage every year to give as holiday gifts. Look for his basic 2008 Seghesio Sonoma Zinfandel or the single-vineyard 2008 Seghesio Home Ranch bottling. As summer comes to a finish, 2012 fall fashion styles have already begun surfacing. One hot style that fashionistas will be seeing a lot of this fall is nature jewelry as well as jewelry made with natural materials. Genuine Baltic amber is a beautiful mineral, found in the Baltic regions of Poland and Russia. Amber is said to have mystical properties so people like to have it with them often. Amber is commonly found set in jewelry, creating beautiful Genuine Baltic Amber Jewelry pieces including amber necklaces, rings, bracelets, and earrings and other various accessories. 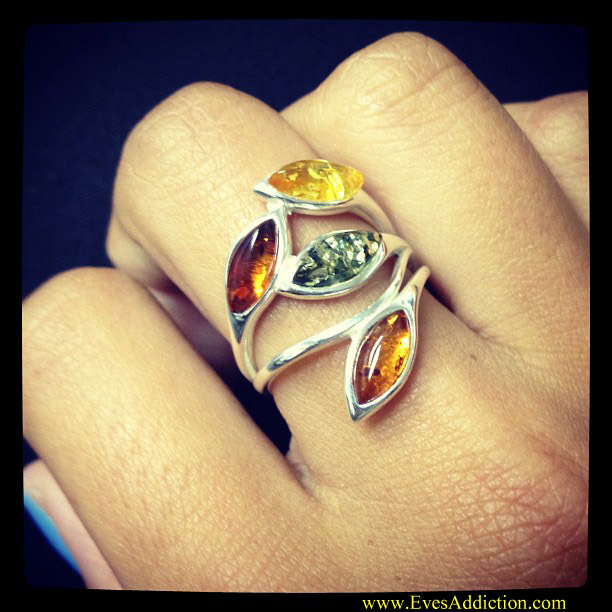 Get ready for fall fashion with this beautiful TriColor Baltic Amber Sterling Silver Leaves Ring! Welcome to Eve’s New Blog! Thanks for stopping by to check out Eve’s Addiction’s new blog! Eve’s Addiction Lifestyle is a branch off of EvesAddiction.com’s main blog, evesaddictionblog.com. Eve’s Addiction Lifestyle is a creative outlet where fans and customers of Eve’s Addiction can get a more wholesome experience while learning about a wider variety of interests. Eve’s Addiction Lifestyle will be featuring topics in categories including: Fashion, DIY or Do It Yourself projects, Food, Shopping, and Inspiration. 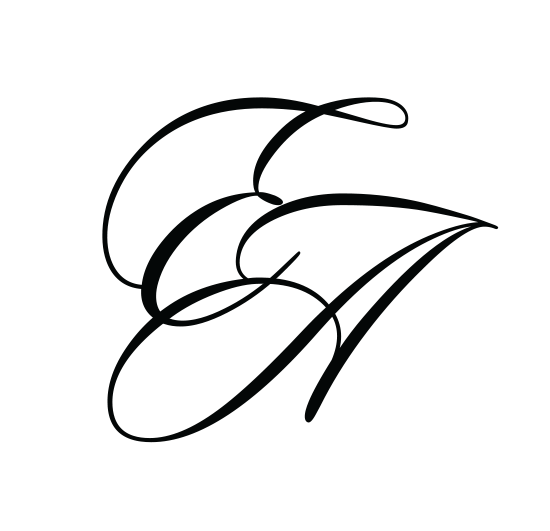 To learn more about our sterling silver jewelry company, please visit the About EvesAddiction.com page!